Some years I can't grow cucumbers. Between cucumber beetles, cucumber virus and squash bugs, it's virtually impossible to get a crop. But this year, for whatever reasons, my cucumbers have thrived. Possibly the last 2 years of horrible drought killed off the larvae of the pests, but for whatever reason, my cucumbers are producing a continuous supply. 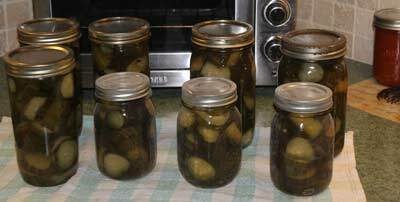 With only 2 vines, I can accumulate enough for eating plus making pickles. So I dug out "Mama's Sweet Pickle" recipe. "Mama," in this instance, refers to my Grandmother Harper. 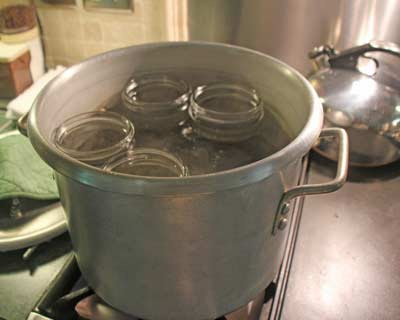 I only make sweet pickles about every 3 or 4 years and make enough to last. Friends have always complimented me on my potato salad, my deviled eggs and my tuna salad. 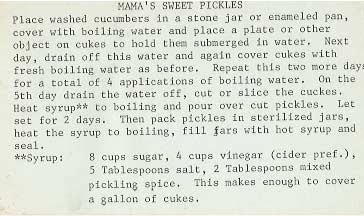 My secret ingredient is my grandma's sweet pickles. So here's the recipe and the method, in case you want to make your own. To keep pickles crisper, don't cut off the blossom end. Cucumbers in pan, pour boiling water every day for 4 days. 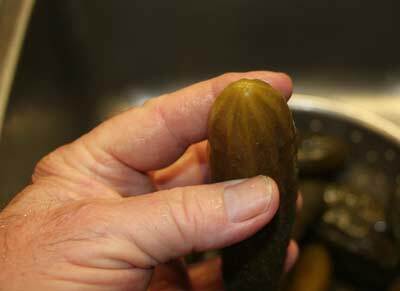 On the fifth day, drain and rinse the cucumbers, then cut into slices or pieces. Bring the sugar, spices and vinegar to a boil and pour over the cut-up cucumbers. Weight down to hold the cucumbers in the liquid, cover and leave for 2 or 3 days. Sliced and ready for the liquid. 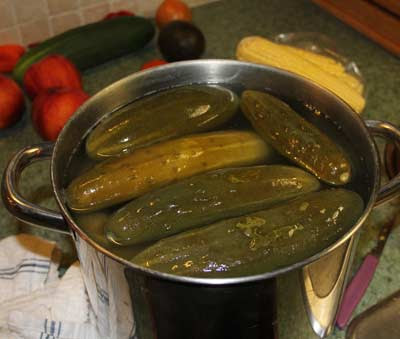 Fill the jar with the pickles, then pour in the hot liquid. 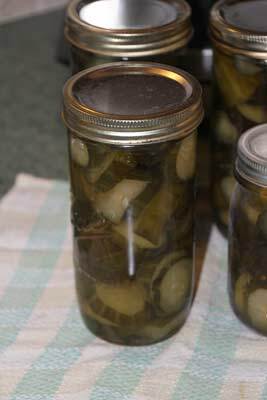 To keep pickles crisp (besides not removing the blossom end), I add 1/4 teaspoon Pickle Crisp before putting on the lid. 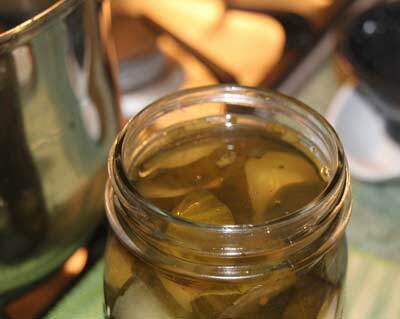 And the finished product, Mama's Sweet Pickles. These will safely keep for 3-4 years in the pantry. 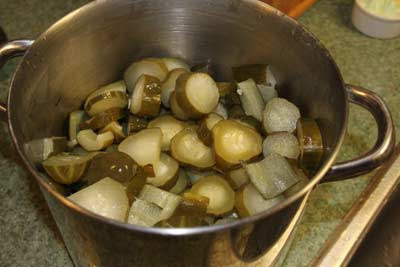 And there is enough perfect pickles to make all of my favorite dishes. Yes, it's a lot of sugar - they are, after all, sweet pickles. But you only use a small amount in potato salad, deviled eggs and tuna salad. And no other pickle will work as well! Readers have been asking for the Pavlova recipe from the previous post, so here it is. I hope you enjoy it as much as we do. We've been making pavlovas here on the farm for years and it is one of the great joys of summertime meals and fruit season. 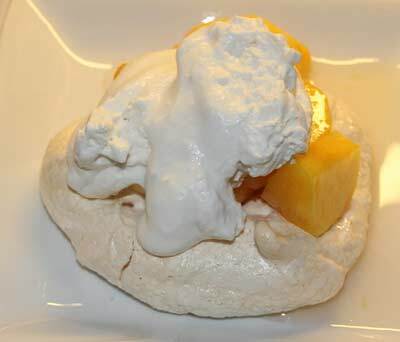 Pavlovas are meringues in which you add fruit and top with whipped cream. Pavlova is claimed to be the national dish of New Zealand, and folks living there claim it was invented in their country. Australians, also, claim the dessert as an invention of their country. Whoever is right, this is one sweet, delightful summer dish and quite easy to make. Basically it is a slow-baked meringue, over which you spoon fresh fruit and top it with real whipped cream. (You can use any kind of fruit in a pavlova, pronounced pav - lov - ah). -Position rack in the middle of the oven. Cover a cookie sheet with parchment paper (I've used a cut-apart brown paper grocery bag when I am out of parchment paper and it works fine). -Stir together half of the reserved sugar with the cornstarch and set aside. -Beat the egg whites with cream of tartar in a bowl, using an electric mixer, until soft peaks form. -Add vanilla and beat again, then gradually beat in remaining sugar, one table spoon at a time, until stiff peaks form. -Gently sprinkle the remaining sugar-cornstarch mixture over the meringue and fold into the mixture with a spatula. -Spoon meringue onto the lined cookie sheet in 6 mounts, using about 1/4 cup each, and spacing them about 2 inches apart. Use the back of a spoon and make an indention into each one, so that you have 6 little "bowls" or "nests." -Bake meringues until crispy and barely beginning to brown on the edges, about 55 minutes. Transfer the meringues to a cooling rack with a spatula to let them cool. After about an hour, put the meringues in an air-tight container where they will remain crisp for about 24 hours. (If for some reason they get "chewy", put them in a 200 degree F. oven for about 10 minutes; but if they are stored in an air-tight container they will remain crisp). An authentic pavlova, this one served with peaches in a ginger sauce. Combine water, sugar, lemon juice and ginger and bring to a boil. Lower heat and let simmer about 15 minutes. Cool completely, then add peach halves. This can be done the day before and refrigerated over-night. 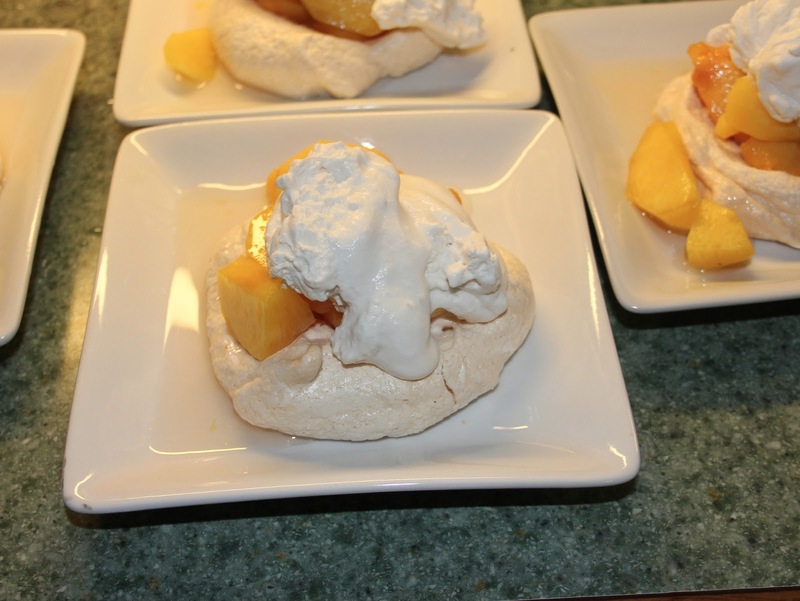 To serve, remove peaches from syrup, slice and fill the centers of the meringues. Top with real whipped cream, not the fake stuff. This is a heavenly dessert and you will enjoy making it regardless of what kind of fruit you use. This week we've been digging salsify. 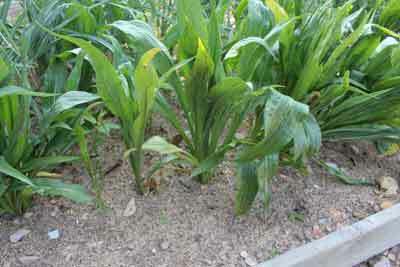 In the bed above are both the regular white salsify, and in the foreground is scorzonera, or black Spanish salsify. It's also known as oyster root due to its oyster-like, mild flavor. What is it used for you may ask? It's a popular vegetable in upscale restaurants that offer vegetarian dishes. Diners can enjoy the flavor of oysters, just the vegetable version! 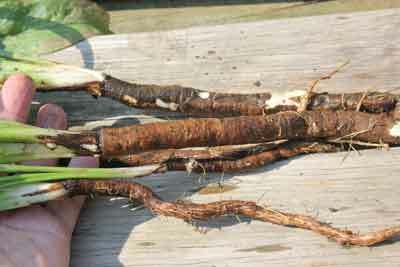 Black salsify, or scorzonera roots. The roots grow deep and when they're dug, must be washed and the outside peeling scraped, which is an easy job. As soon as they're scraped, drop them in water in which you've added about a teaspoon of lemon juice or distilled white vinegar to keep them from darkening. I planted mine in the first week of March and they're already to harvest in July. Supposedly they'll stay ready for harvest into the winter, although one of mine is already blooming and usually when a plant does that, the root loses its vigor quickly. 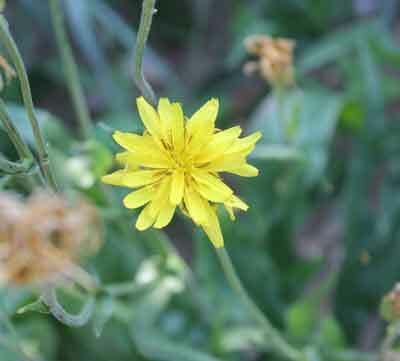 Salsify flower. The seed head looks like a giant dandelion seed puff. Here's what I did with the roots I dug this week. I scraped and dunked them in water/lemon juice. Then diced up the roots, boiled them about 10 minutes and drained. I put them in a casserole dish with some heavy cream, a layer of bread crumbs and a topping of provolone cheese, with another dusting of bread crumbs. I baked that for 10 minutes and served with the rest of the meal, below. 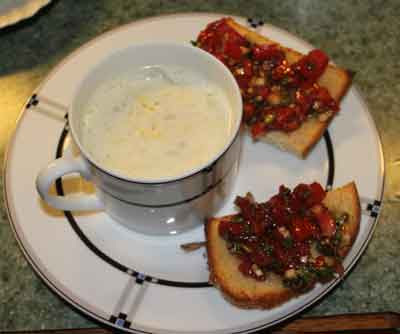 Chilled lettuce soup with Bruchetta on sour dough toast. On the plate, upper left is the salsify casserole. Below that is a fresh corn pudding. Center is grilled salmon on a bed of freshly grilled fennel bulb and on the side, lemon basil-steamed shrimp from the grill. Dessert was a doughnut peach pavlova topped with whipped cream. Doughnut peaches are only in season a short while and the flavor is heavenly. Pavlova, if you don't know the dish, is the national dessert of Australia (or New Zealand, they argue about who originated it). It's made of very stiffly beaten egg whites with sugar and vanilla, which is very slowly baked until crisp. You can top it with fruit of any kind. I chose to top it with peaches which I simmered with some fresh ginger and sugar and over that, I put a big dollop of real whipped cream. 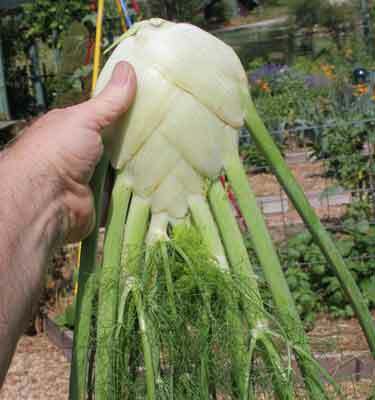 The fennel is ready for harvesting, as well, and we've been enjoying it steamed, grilled and in sauces. 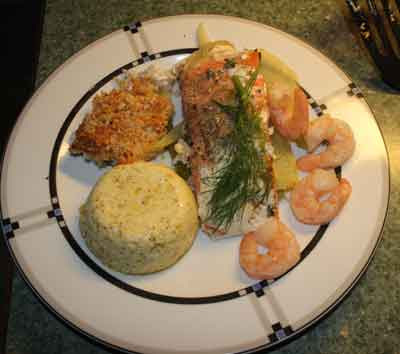 In the plate, far above, some steamed and buttered fennel bulb was under the grilled salmon. So that's it, that's what's happening in the garden this week. I hope your week is going well, too! Soldiers Suffering from PTSD Have a New Champion! There’s plenty of evidence for the usefulness of alternative therapies in treating Post-Traumatic Stress Disorder (PTSD). High among those useful therapies, based on years of reports from our customers, are sleep pillows, also known as dream pillows. Laugh, scoff or ridicule as you wish. 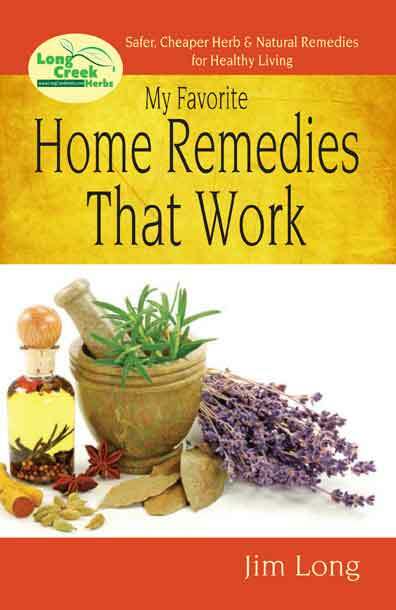 but this method has helped thousands of people over the years. I began writing about dream pillows and their effects over 25 years ago. You can read my experiences and what convinced me, by clicking here and looking through my archives. 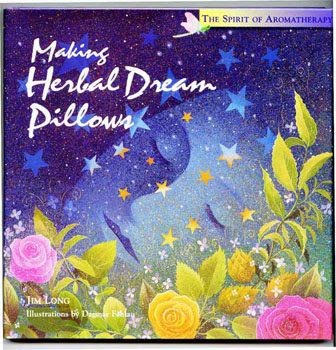 I first learned about dream/sleep pillows from a pharmacist, and you can see the formula he made for me by clicking here, then scrolling down. And if you would like to read the story of someone who helped a bunch of Vietnam vets who all suffered from flash-back nightmares, quieten their sleep, read this. 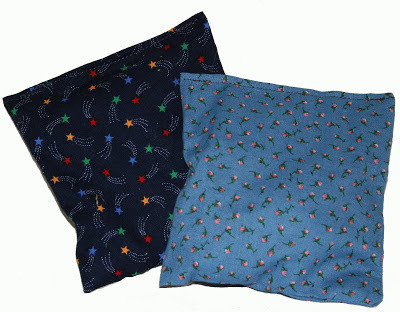 Sleep pillows are about 6 x 6 inches and are to be tucked into your pillowcase. What I want most to tell you about is Elizabeth, a customer of ours who’s been buying dream pillow supplies from us, making restful sleep dream pillows and giving them away to soldiers and veterans who are suffering from PTSD. Every time she runs across someone who has a brother, father, son or spouse, who she learns is suffering from PTSD, she sends them a sleep pillow. The feedback she’s gotten, the gratitude, is simply amazing. Because it’s a costly process to keep making and giving away sleep pillows, Elizabeth has created a non-profit group, the American Heroes Sleep Project, in order to help more soldiers and veterans. Her new website is here. Check it out, you can order a sleep pillow for yourself, or to give someone. She also has an option where you can buy one for yourself and she’ll send someone who’s suffering from PTSD a pillow also. There’s no magic in why sleep pillows work, it’s based on how our minds process fragrances. 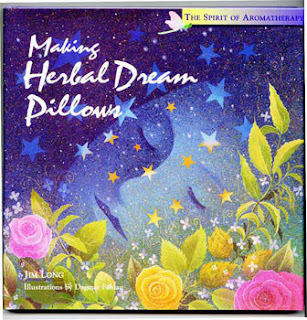 You can read more in my book, Making Herbal Dream Pillows (Storey Publications), which you can buy from Amazon, or buy it from me on my website. Over the 25 years I’ve been making, selling and educating people about dream pillows/sleep pillows, I have seen amazing results. From kids who have nightmares to Vietnam Vets who have flashbacks. From people who are on the stop-smoking patch (which causes nightmares in many people) to those who simply have trouble sleeping because of stress, over and over again, people tell me how helpful the pillows have been to them. Go to the American Heroes Sleep Project and help out someone who’s suffering from PTSD. Read about their mission and what they're doing to help soldiers who are returning from combat missions with their healing. It certainly won’t hurt and for many, it is a great help. Or maybe you are suffering from lack of sleep or night mares, or both. You will find better sleep and less nightmares using a sleep pillow. Thank you and pleasant dreams!